Doug Ford reveals what his first big decision would be as mayor. 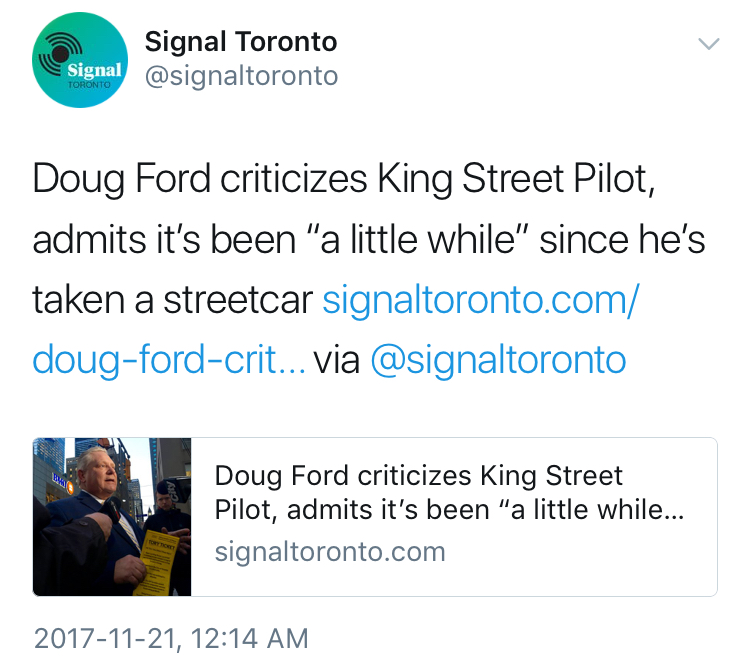 Ford expressed his promise to cancel the King Street Pilot in the form of a “Tory Ticket,” which seems to be part of an ongoing effort to collect the contact information of supporters through online petitions. 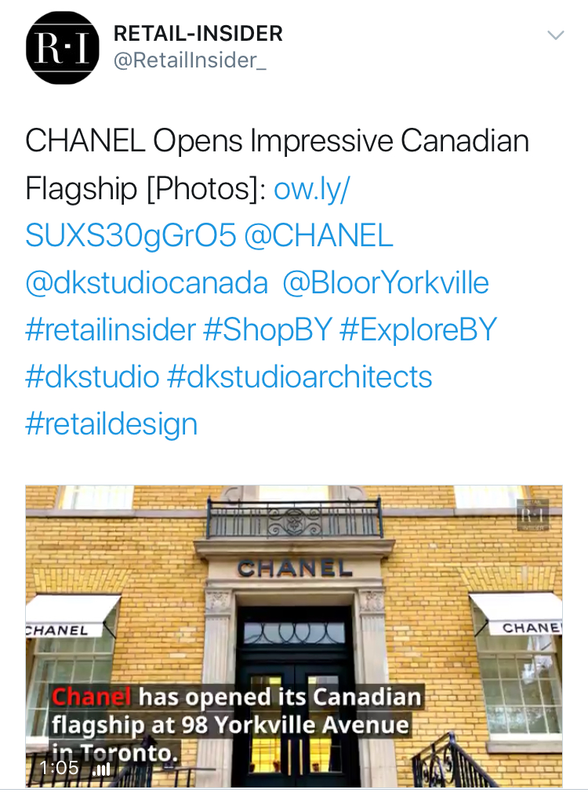 DoFo had to admit that his transit experiences are from the outside looking in. Alphabet chomps on yet another piece of the city. The city's new data-sharing partnership with Waze continues a streak of developments tied to the search engine monolith from Mountain View. The impending local arrival of Lyft, bolstered by a billion dollars from Alphabet, coincides with self-driving car trials elsewhere. Along with Google's Port Lands redevelopment plans, it all adds up to unprecedented concerns about privacy, which politicians boosting these projects never seem to address much. “Ontario Proud” crashes Kathleen Wynne’s town hall. After building the most popular political Facebook group in the province, with 300K followers for rabid anti-Wynne content, Jeff Ballingall took his act to the front row of the premier’s Masonic Temple klatch to ask her about the $4.5-million salary for Hydro One's CEO. Wynne countered by boasting that hydro bills are down by 25 per cent—although Ballingall reminded her they'll rebound after the election. The question didn’t go over well with Toronto Star reporter Robert Benzie, who dismissed it all as the tactic of a Tory hack. Today's edition of 12­:­36 is brought to you by Big League Babble On. Despite being known for his hatred of soccer, John Gallagher went to Little Italy to report on the 1994 World Cup for Citytv, where he found himself the target of a gang who planned to douse him with pitchers of beer. But they showered his security instead—resulting in a massive melee. And that’s just the first chapter of a book you can read about here. 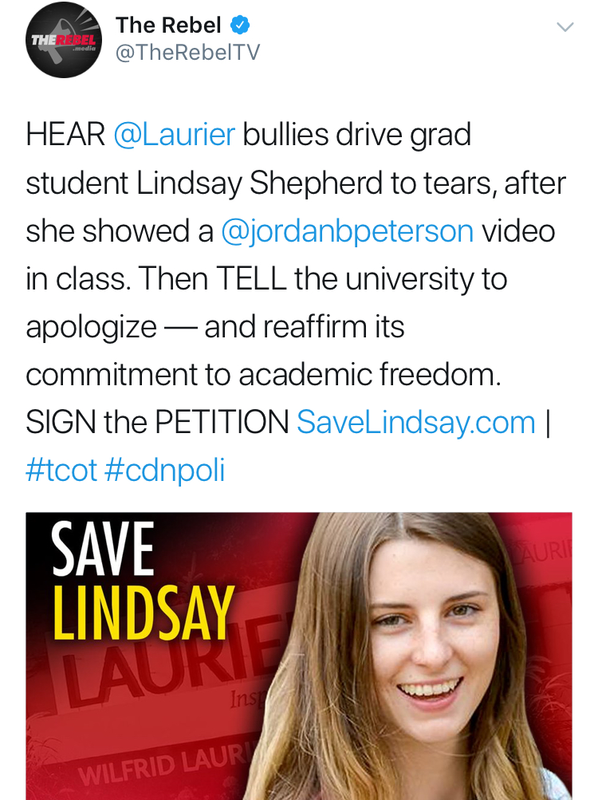 Lindsay Shepherd is a libertarian hero whether she likes it or not. Audio of Shepherd, a Wilfrid Laurier teaching assistant, being reprimanded by superiors for showing her class a TVO debate featuring Jordan Peterson has generated the inevitable Margaret Wente column. Shepherd says she's appreciative of the more irreverent National Post coverage—even though Peterson himself isn’t. She probably isn't as thrilled about being featured at The Rebel. 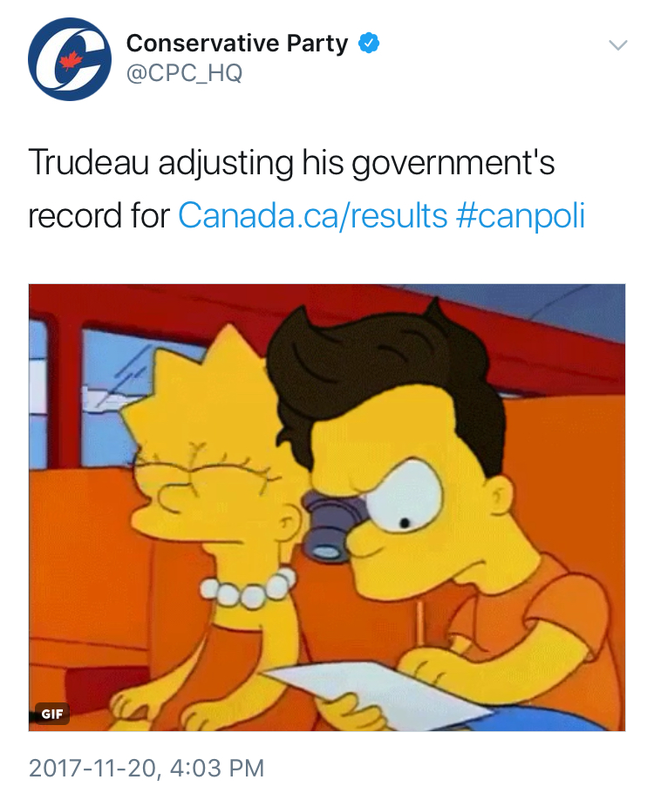 Ezra Levant has a petition going regardless. A View From Space suspension stokes the conspiracy theorists. Gary Bell, a former top-40 deejay—and more recently a technical producer for talk shows on AM640—has spent about two decades ranting about the illuminati on Saturday nights. But something he said during his November 11 episode led the Corus station to air a disclaimer the following week, apologizing for “references and material that could only be viewed as anti-Semitic.” With no further word from AM640, Spaceman fans remain hopeful for his return—at least when they’re not blaming apocalyptic thought police. TTC CEO Andy Byford is leaving for a new job running New York City Transit.